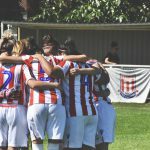 Since 71 | Should Women’s Teams Be Sharing Their Male Counterparts Stadium? 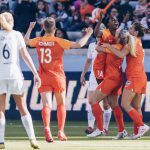 Should Women’s Teams Be Sharing Their Male Counterparts Stadium? 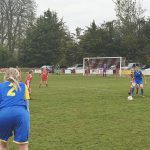 The wonderful women’s football journalist, Suzanne Wrack, recently published an interesting article posing the question, should women’s sides be playing matches at their club’s main stadium to boost attendances? I feel quite passionate about there being strong links forged between men’s and women’s clubs. So I would agree with that statement in theory but I have my reservations to whether that would be realistic outside of the Women’s Super League. 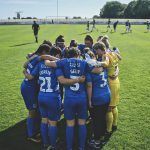 My local side, Portsmouth Women, play two miles away from Fratton Park at The PMC Stadium. 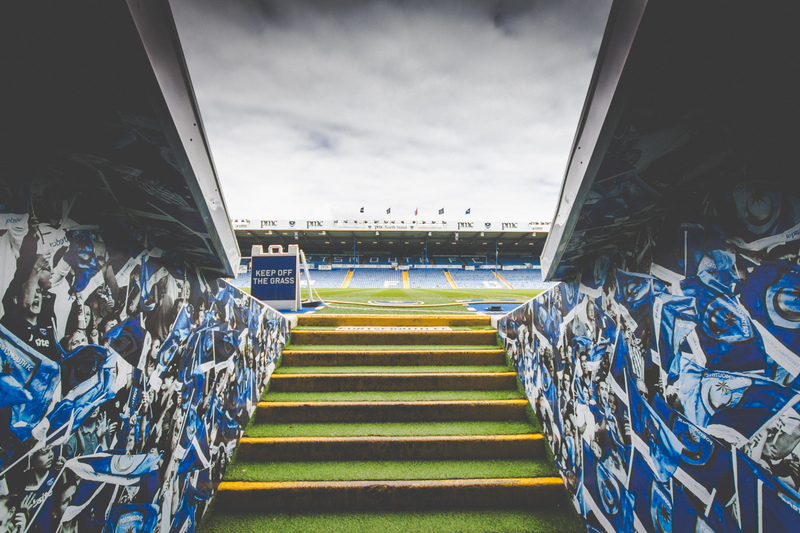 It’s local to Portsmouth and has great access routes for supporters. Although, if you’re not there about an hour before kick-off then you’re unlikely to find a parking space and will need to use the local Morrisons which is about five minutes walk away. 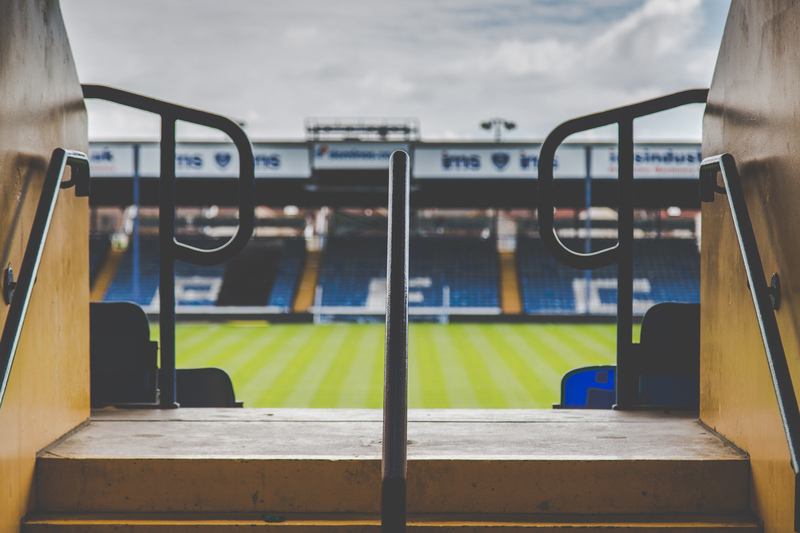 From a spectators perspective, I would prefer to watch Portsmouth Women play at Fratton Park because the option of sitting higher in the stand will provide a better view of the game. I believe that the players also deserve to have access to the best facilities, including the first team dressing rooms and pitch. That being said, having 50 to 250 fans in an 18,000 seater could hamper the match day experience and atmosphere. Currently, the PMC Stadium fills up easily and fans are able to get close to the pitch and move around to use the facilities with ease. I’ve spoken with players who have admitted to enjoying the match preparations and the better facilities of a larger stadium but don’t enjoy the match as much. 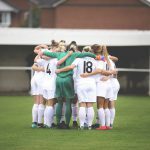 When seeking an aficionado on this subject I sought out Portsmouth Women’s Vlogger, Ian Chiverton, he and his daughter can be found at most of Portsmouth Football Club’s men’s and women’s matches. 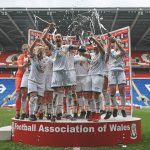 Manchester United Women hosted a record crowd of 4,835 at Leigh Sports Village for their 2-0 defeat to Reading Women, this was their first home game since relaunching. 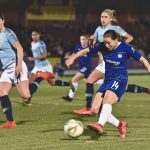 It comfortably beat the 4,096 who watched Manchester City Women beat Chelsea Women to seal their first FA WSL Super League 1 title in 2016. If they are the biggest crowds so far then I don’t believe that it wouldn’t make sense to put them into 50,000 plus seater stadiums. I have seen some arguments for double-headers where the women play before or after the men’s side. I have seen double-headers being played when I’ve been to Twickenham to watch the England rugby team. There are be pros and cons for this concept. Anna Kessel brought up a good point, this would guarantee better media coverage as all the infrastructure and journalists are already there. I think this could be a good option for the opening day of the season while crowds numbers are high but not on a regular basis. I agree with Suzy, “Manchester City provide the best setup by far. The Academy Stadium, a stone’s throw from the Etihad Stadium, is a well-connected and purpose-built ground – shared with the reserve and academy teams. 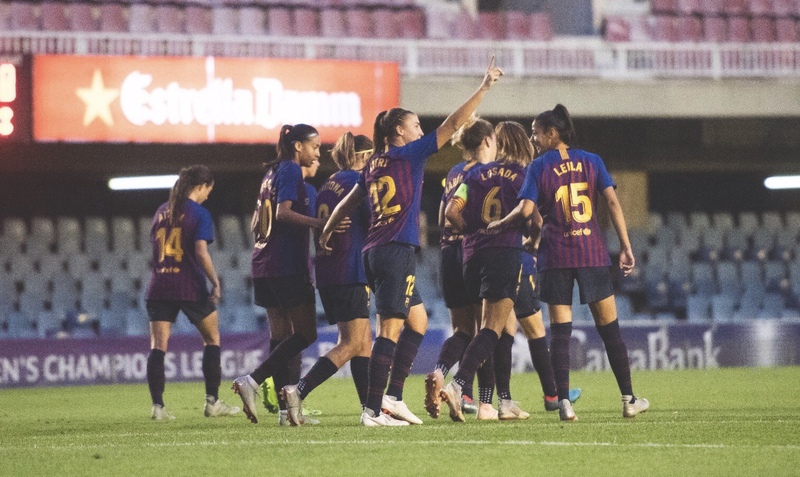 But City are the exception.” FC Barcelona Femení play at Mini Estadi, the training ground and academy base of FC Barcelona. I don’t know if it that was a fortunate coincidence due to the facilities being available after the Commonwealth Games or a plan by City’s director of football, Txiki Begiristain, was brought to City from Barcelona. 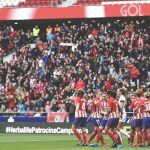 I doubt that we will see clubs investing in purpose build stadiums for women anytime in the next decade. Most clubs will see it as making more financial sense to rent or ground share with a local lower league club. 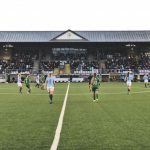 Maybe we might see some investment into these stadiums so other clubs within the community also benefit?